2 Cor. 3:18 And we all, with unveiled face, beholding the glory of the Lord, are being changed into his likeness from one degree of glory to another; for this comes from the Lord who is the Spirit. 1 Cor. 13:12 For now we see in a mirror dimly, but then face to face. Now I know in part; then I shall understand fully, even as I have been fully understood. 2 Cor. 4:6 For it is the God who said, “Let light shine out of darkness,” who has shone in our hearts to give the light of the knowledge of the glory of God in the face of Christ. There is a peculiar fascination in Scripture with the face of God. It clearly has meaning well beyond simply the presence of God Himself. There can be many stories of encounters with God, with “His angel,” or with His presence in some manner or another – but few encounters will speak of the face of God. At best, in the Old Testament, we are generally told that no one can see the face of God and live – though Moses is said to have spoken to God “face to face” as a man does with his friend. This story, taken in the light of others, probably only refers to a directness and not to a literal face-to-face. 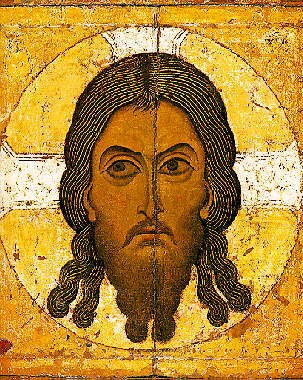 But when we come to the New Testament, particularly to the writings of St. Paul, beholding the face of Christ is quite central to the fullness of our salvation. We will know the knowledge of the glory of God in the face of Christ; when we see face to face we will know even as we are known; with unveiled face we behold the glory of the Lord and are changed into His likeness. There is certainly an element of intimacy that is inferred by “face-to-face.” There is even an element of equality in the sense of Moses speaking to God as a man would to his friend. But it seems to me quite clear that St. Paul grasps the full plenitude of what it means that God has acquired a human face. Unlike the flashes and clouds that seem to surround Moses’ enounters with God – we now have something made accessible to us all in the incarnation. God has assumed a human face and can be seen face-to-face. Of course this is not saying that we can now take pictures and have photographs to remember Him by (had the technology existed then). There are those odd reminders in the post-resurrection encounters of those who saw Him and yet did not recognize Him. But in the coming of God in the flesh, there is an accessibility that did not exist before. Such a God has made it clear that He wishes to be seen face to face. Indeed with the incarnation God declares to us that the nature of His relationship with us is to be face to face and in no other way. In the painting of icons this truth is represented by the avoidance of profile. Christ is never portrayed in profile and this is generally true of all the saints. We see them, face to face, because they are open to us and stand before us ready to embrace us in relationship. The mystery that we encounter in an icon is thus not the mystery of something directly hiding from us – the mystery of someone who has turned their back and we cannot see what they are doing. The mystery is of one whose face reveals more than we can comprehend. This next week I will be attending an icon workshop with my teenage daughter, Clare. She is the artist of the family. I look forward to a week with her, but a week in which you encounter the face of the one whom you paint – a face that in some sense you help reveal. It is the first such workshop I will have attended. What time I can get to write a little will likely reflect the day’s thoughts. So do not be surprised to read about icons here next week. I would appreciate your prayers and pray that we all behold Him face to face and truly grow from glory to glory.